Andromeda wrote: Below are the armour sets listed in Daggerfall the game. In brackets are the colours that the armour appears in the inventory. I included info on whether the materials and pieces were present in Morrowind or not so it could be decided to make new armour or keep the vanilla models. I think the Dwarven armour should be kept vanilla, as for the rest I am undecided, however I think adding some new armour would be cool. One particularly creative use of silk deserves a special mention: the armor known as Mythril. The term derives from the Nedic miith ii riil, which translates roughly to “storied strength of moth-carried ancestors.” Though the art to its manufacture has been lost to the ages, we know that it was made by interweaving song-strengthened silk with metal wire (initially copper, later silver) and binding the weave together with the spirit of an ancestor. One account replaces the metal with the hair of the one meant to wear the armor, and another claims that nothing but silk, spirit, and song is needed. Regardless of its manufacture, the strands were then bent into rings, which were linked in an intricate five-part pattern. The suits excelled at stopping the short sword and spear favored by foot soldiers, as well as the spells of magi. The making of the suits stopped sometime in the mid 1st era, perhaps prompted by the advent of heavier swords or sturdier metals. No full suits survived to modernity, though individual links or chains are found in the possession of many wealthy citizens. Many claim that the metal speaks to its carrier, and ensures that they win in battle. This places it rather firmly into the Cyrodiilic sphere, I'm afraid. We wanted to use mithril as a kind of lightweight alternative to Daedric, with only select pieces scattered across the realm. Also, small note: there is actually Silver armor in Morrowind, just not a complete set. The reason Silver armour was declared not in Morrowind in our list, is because its mainly unique and not a complete set. I personally would like to have a unique set for HR. With regards to Mithril. I don't see a need to invent new lore. Also, what does it being derivative of Tolkien have to do with anything? The majority of the elder scrolls is heavily influenced by Tolkien. Also, Mithril appears in Daggerfall (TES 2). Not trying to sound harsh, but I don't understand your reasoning. It's not just my reasoning: as I said above the new concept was written by Lady N and debated quite a bit on the old P:C forums. Mithril made a reappearance in Oblivion, which is why we'd like to include it in P:C. Problem is, there's next to nothing known about the stuff: what's it made of, where does it come from, who wears it, what cultures prefer it, etc. All questions which are essential for the design and placement of practically anything in the gameworld. Compare this to the way armor is implemented in Morrowind to give you a sense of place and identity: House-specific bonemold variations, Dunmer nobles wearing Dwarven armor as a sign of wealth, or a random NPC wearing Nordic fur or Netch leather being an indicator of him being at home on Vvardenfell or foreign to it - these sort of things are important in creating a sense of immersion, of a living world. Unlike the generic Dwarves-and-Elves stuff that has become commonplace in fantasy, mithril is still somewhat exclusive to Tolkien. Including it is automatically going to call up associations for the player, and unless you provide an alternate frame of reference, people will feel that the inclusion is out of place, not in accordance to the rest of the gameworld. Compare this to the way the Dwarves are portrayed in TES: at the time of Daggerfall, the Morrowind devs still had the option to present them as the classic short, beardy fellows. Instead, they went for Byzantine steampunk Elves. This sort of decisions is what makes TES so interesting, at least in my opinion. I think I'm still missing your point. Are you saying mithril shouldn't appear in High Rock? I think he means there wouldn't be mithril mines or unique High Rock-style mithril armour. What mithril armour there is would be made in Cyrodiil and imported. Edit: So P:C and HR427 would share the same mithril armour asset, whenever that gets made. SGMonkey wrote: I think I'm still missing your point. Are you saying mithril shouldn't appear in High Rock? Not at all. 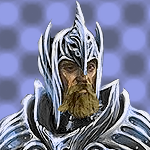 Mithril appeared in TES II, so you are completely in your rights to include it. Al I'm saying is that for P:C, we are hoping to do this and that with mithril, for these reasons. I just wanted to pass along that information in the name of inter-provincial cordiality and cooperation. You are free to use these designs if you like them, and any mithril armor set we make at P:C will most likely be free to use for any other province mod. I'm sorry if it felt like I was imposing something on you: it's your project, and your decision. Ahh right, I was just confused. Do you guys have a mithril armour set yet? Also, its not just MY project. Not yet, it'll probably become a priority once we start doing more Nibenese things. Man, what a blast from the past. How times have changed. Well, definitely don't make mithril, k?